TAS returns to Cardiff Castle We are already trying to find his next move and facilitate it. Ideas are welcome. 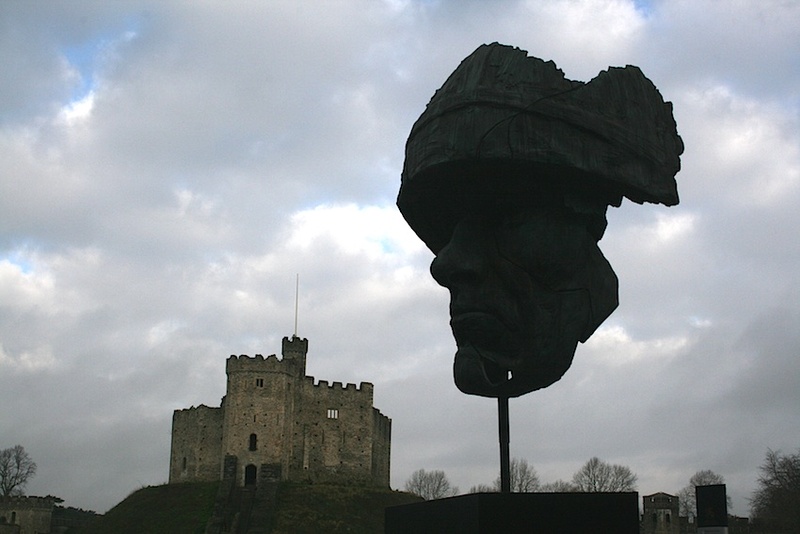 The commemorative art piece will leave Cardiff Castle to arrive in Exeter on Wednesday morning where it will be the centre piece of nine-day exhibition, War Art showcasing over 100 pieces of artwork by both serving and former members of the armed forces, some of whom suffer from Post Traumatic Stress Disorder (PTSD). Six rarely seen works by Exeter artist and survivor of the Second World War Nazi camps in Poland, Raya Herzig, will also be a feature of the exhibition. 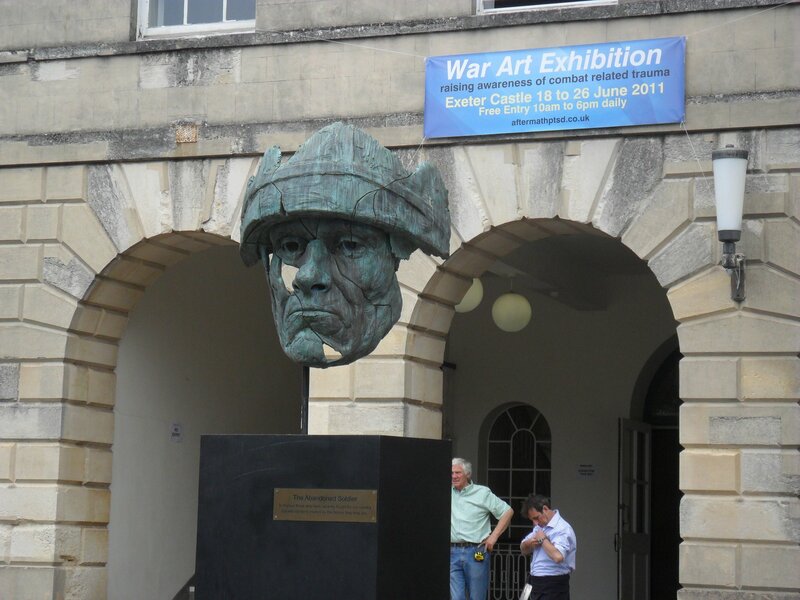 This War Art exhibition also coincides with the Summer in the City festival and Armed Forces Week, with the aim of raising awareness of combat-related trauma. And also celebrates the 90th birthday of the Royal British Legion. The event has been organised by John McDermott, a former member of the Royal Navy and UN Military Observer in the Falklands, the Gulf wars and Bosnia, Cambodia and Sierra Leone in West Africa. Mr McDermott is now a full-time painter working in Exeter and formed not-for-profit social enterprise Aftermath PTSD to raise awareness of the condition through art exhibitions. "Through the universal language of art, visitors will be able to explore what combat-related trauma means as well as the survivability of the human spirit.This is the first time that such a group of artists have come together like this in the SouthWest. It's now 10 years since British troops went into Afghanistan, and later into Iraq. Throughout this period a significant number of troops, perhaps as many as four out of 10 of the many thousands deployed, are now suffering the hugely debilitating effects brought on by combat trauma,"
"Last month the Royal British Legion stated that the Armed Forces community was facing a 'perfect storm' of health and welfare needs due to the legacy of Afghanistan and Iraq, combined with defence cuts and strains on public sector support". Yet, all the service charities involved know this will never be enough and this 'perfect storm' may well turn out to be a national disgrace. Many sufferers end up being medically discharged from the military, lose their homes, end up homeless and, tragically, many take their own lives,"
In response the charity Combat Stress has now set up a 24-hour confidential helpline. "The Combat Stress helpline is 0800 138 1619." TAS now in place in Cardiff Castle until end of July 2011. We are already trying to find his next move and facilitate it. Ideas are welcomed. Please help to get TAS in his final form and choosing his final home by donating as much or as little as you deem fair to create a lasting, living memorial to those who serve and continue to suffer. There is a donate button on the website. Can I thank all those who have joined the Facebook group to create a community of understanding and cooperation within the cyber world and those who continue to support our project in other ways. Lastly thank you to the RLC for moving TAS to Cardiff. Without the military this statue would be languishing in a cellar, abandoned from society. TAS now has a departure date. He will be leaving the NMA on Thursday 10th February at approximately 1100hrs. He may return but who knows, maybe someone will offer him a permanent home elsewhere. If you have a chance and have not been to see him yet, please try. He will then arrive at Cardiff Castle approximately 1600hrs... ...the sameday and be on display there for at least 6 months. Thanks in advance to 47 Air Despatch Squadron RLC who are carrying out the move on this occasion. The book launch of Mark Christmas’s book of poetry was held at the NMA on the 6th of November. Amongst the people to who attended was Yorkie Malone, one of the original “Abandoned Soldiers” from the BBC documentary, The Battle Of Trafalgar. Yorkie has since urged the 600+ members of the face book group to email the National Memorial Arboretum asking them to make sure that TAS will have a permanent home there. Covering the story was a news crew from Central television and a Photographer from the Express & Star. Mark also had an interview with BBC Radio Stoke’s Breakfast show that morning. The project would like to thank the Staff at the NMA for all their support, the poetry readers, Alison Jones for singing in the Millennium Chapel Colin from West Yorkshire. We would also like to thank everybody who made the effort to come and make the day a success. The sculpture of ‘The Abandoned Soldier’ has been created by James Napier to honour those who have fought valiantly for our country, but are not being treated as the heroes they truly are. ‘The Abandoned Soldier’ was modeled on Lance Corporal Daniel Twiddy, who was wounded in Basra by friendly fire in 2003 and sustained many injuries, including facial wounds from shrapnel. 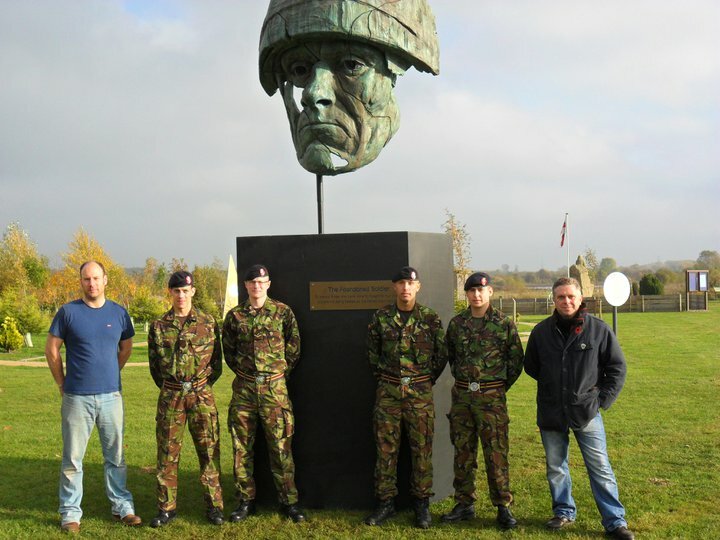 The ‘Abandoned Soldier’ campaign, centred on the controversial sculpture which may or may not be housed at Staffordshire’s National Memorial Arboretum (see below) received a boost when acclaimed military expert Major General Tim Cross CBE (retired) spoke out in its support. Cross was the most senior British officer involved in post-war planning after the Iraq war, and has been outspoken in his criticisms of US and UK foreign policy. �There can�t be many people around who aren�t keenly aware of the sacrifices that our young men and women have made, and still are making in places like Iraq and Afghanistan,� commented Major-General Cross. �For most of us the obvious scars are the returning coffins, and the stories and pictures of the lost limbs and the physical rehabilitation that goes on. What is less obvious are the mental, psychological and spiritual scars borne by many who, on the face of it, return unharmed but who carry deep inside the hurt and pain of what they have seen and heard; all too often they are the forgotten casualties. Struggling to come to terms with all that they have endured, some are locked in loneliness and depression; they too need our care and commitment. 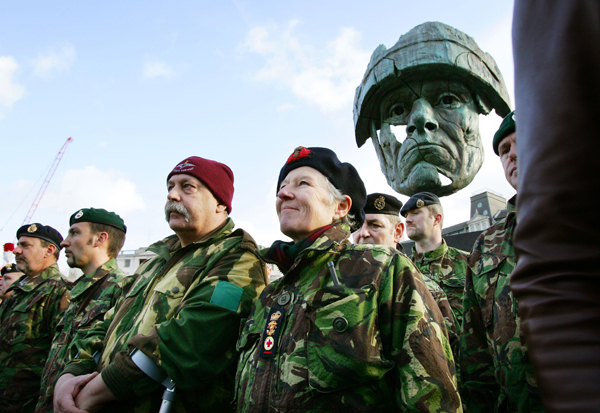 � The �Abandoned Soldier� statue, modelled on the face of a British ex-soldier, was originally created for a 2007 BBC TV programme made by journalist Tim Samuels as part of the 3-part series �Power to the People�, which aimed to give a voice to various disenfranchised groups. �The Battle of Trafalgar Square� saw a �platoon� of ex-servicemen � many with shocking and moving stories to tell - install the striking sculpture in front of Nelson�s Column. 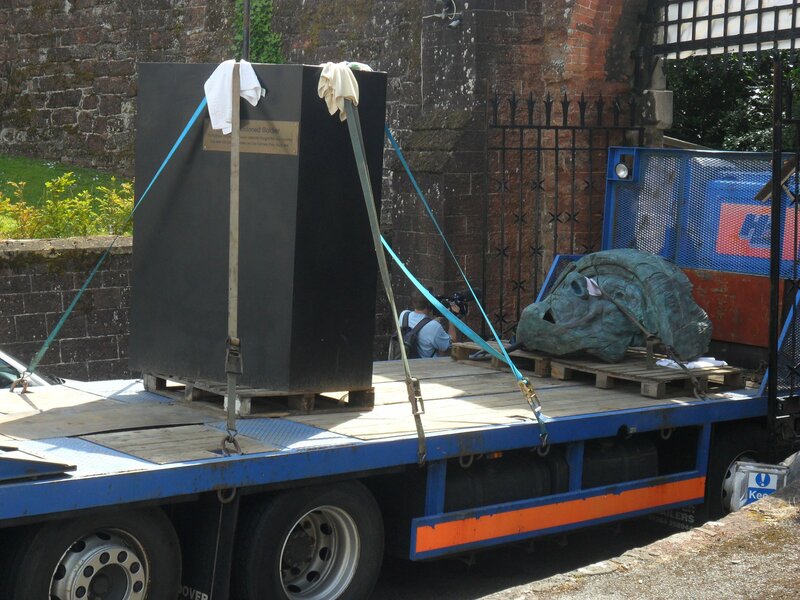 Now three years on, the statue which symbolises the forgotten servicemen of recent conflicts is in danger of itself being forgotten and falling into neglect. London-based sculptor James Napier says: “The sculpture was cast in resin which is already deteriorating, and unless we can raise funds to have it bronzed, it will eventually simply fade away. The symbolism is tragic.” The Abandoned Soldier projectwww.theabandonedsoldier.com has been founded to raise the funds needed to make the statue permanent. It is hoped that the project will become a rallying point for individuals and organisations involved with post-combat stress, homelessness and the many other issues affecting servicemen and ex-servicemen. A number of charities have already expressed interest in working with the project. Eirwen Rogers, one of the organisers of the campaign to have the ‘Abandoned Soldier’ statue bronzed for posterity and permanently installed at the National Memorial Arboretum, commented on the difficulties of finding a permanent home for a memorial that potentially embarrasses the authorities: “This statue belongs at the NMA, but because it is a memorial to the living, it is considered controversial. We will have it here for the launch of the accompanying book of poetry, but beyond that time its future is uncertain – much like that of the servicemen it represents. �The Abandoned Soldier� is a new book of poetry being launched on November 6th at the NMA to support the campaign, written by Llandrindod Wells based Mark Christmas. Himself an ex-serviceman and Psychology student, Christmas says 'Abandonment is one of the worst words in the dictionary when you are involved with it in any context. Remember the dead, let the living not be forsaken in your memory�. Advance copies of Mark Christmas� book are available now from this website. The documentary 'The Battle of Trafalgar Square', investigating the treatment of Britain’s ex-Service community was broadcast on BBC2 on 21 May at 9 pm, as part of the ‘Power To The People’ series. Journalist and presenter Tim Samuels assembled a platoon of former soldiers, sailors and airmen, who were injured or disabled during their service careers, to tell their stories of the neglect they endured having returning home from war seriously injured. In a meticulously-planned operation, the platoon then invaded Trafalgar Square to erect The Abandoned Soldier. In making the documentary, Samuels sought to bring to the attention of viewers the shortcomings in the after-care of these Servicemen and Servicewomen, some of whom had served in the Falklands Campaign, the First Gulf War and during peacekeeping roles in Belize and Iraq. 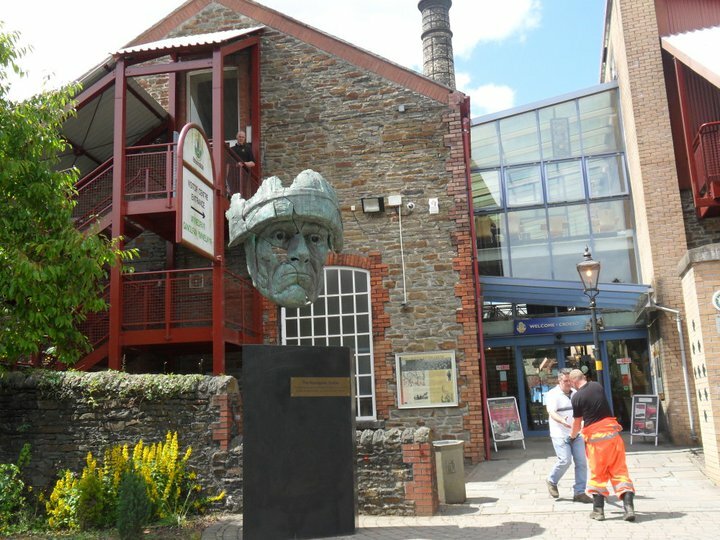 Where the statue has been..